December 5, 2015 .Reading time 5 minutes. November 18, 2014 .Reading time 5 minutes. The first picture is of the day in 1956 it was unveiled in The London Tate Gallery. The second picture is of it’s showing with great fan fare, outside the House of Representatives in Nigeria of the same year, which remained its home for the next four decades. The third and fourth pictures are of it’s new home. I was given these picture anonymously with details of where it is located, which I will leave nameless….for now. With a few calls I have verified it’s authenticity. Ben Enwonwu, was the leading light in Nigeria’s rich aggregation of artists. He sculpted this piece of art in 1956. With this accomplishment, he had “arrived” but in 50s England a black man from Africa sculpting a British Queen didn’t go down well with everybody and it was received with mixed feelings. Subsequently, its commissioning received little attention from the British press. The Times of London wrote only five lines about this pioneering feat, but regardless of the controversy, it still received the royal stamp of approval !! In his time Ben Enwonwu was associated with excellence, prestige, and was a pioneer in every sense of the word. The Enwonwu crater on the planet Mercury was named in his honour. So why on Gods good earth is this globally (even galaxally 🙂 ) celebrated artist’s most famous breakthrough so disrespected in Nigeria? Now I have to ask, how did we get like this? At what point did we have total disregard for everything to do with our culture, traditions and history, even, to the point of the subject being withdrawn from the traditional curriculm in schools? Why?! We all need to accept responsibility for this. We as a nation have a bad track record in maintaing our history and as people we have little or no maintenance culture. The sad thing is Nigeria possesses some of the brightest, most creative erudite minds. Minds, that have the capacity to design, build and invent, but we have fallen short of long term plans to consistently keep them in good shape. Plans to let future generations appreciate what has come before. It’s not just this piece of art it’s other works, sites and documents of historical significance, these items tell stories of events from our past and have captured and encapsulated both our cultural history and human emotions. They serve as time capsules, heavy with information from the moment they were created brimming with historical significance. 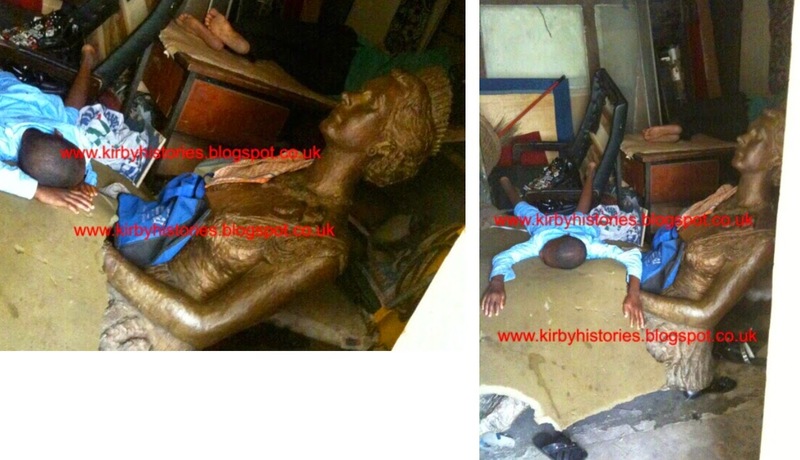 It is of the upmost importance to preserve and maintain pieces of art, sites, documents, images for future generations. As Marcus Garvey once said “A people without the knowledge of their history, origin and culture is like a tree without roots”. So, we must endeavour to maintain our heritage to inform the future. Cultural heritage should be based on the aspects of our past that we cherish, want to keep and pass on to future generations and the outside world. Today efforts to preserve cultural heritage has gained new momentum throughout the world. Nigeria is still trying to catch up. I still have hope, because protectin our heritage should be an essential part of our national identity. While cultural heritage preservation has not yet become firmly rooted in the Nigerian consciousness, a great number of people and organisations see cultural resources as critical to the nation’s economic development in areas such as tourism. We need to do more! 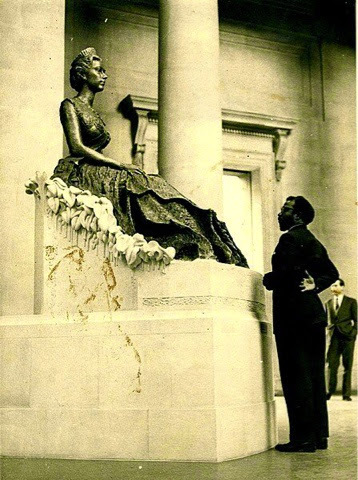 Ironically, Ben Enwonwu also expressed dissatisfaction of our preservation culture in Nigeria, most especially his own 14ft bronze sculpture of Sango, the Yoruba god of thunder, and conditions it was kept. Little did he know another famed pieced would eventually be used as a makeshift bed abandoned in a “warehouse”. I believe he will be rolling in his grave with where one of his greatest achievements calls home. March 23, 2013 .Reading time 3 minutes.